Top Ten Tuesday is a bookish meme hosted by The Broke and the Bookish. For this week’s back-to-school freebie, I thought it would be fun to revisit some of my favorite fictional institutes that I wish I could have attended! From wizards and witches, and superheroes and villains in training, to It girls on Manhattan’s Upper East Side, walking the halls with these characters would have certainly made school a lot more interesting. Why? I didn’t have the traditional or typical college experience that Greek portrays. I transferred a lot. Almost all the schools I went to after my 1st semester were commuter schools–a lot of the students were working adults and didn’t live on campus, and neither did I. They didn’t have traditional sports, homecomings, Greek life, and all that stuff. If I could do it all over again, I think I would love to go to a traditional school like University of Alabama, live on campus, and get wrapped up in all that Roll Tide school pride and whatnot. Why? When it comes to me personally, I’m adverse to drama, but when it comes to watching other people go up in flames, I’m all for it–get me a large popcorn and Coke Zero and start the show. Going to school with the Upper Eastsiders would have been watching a gasoline truck crash into a trainwreck that’s already on fire, and it would be spectacular. Why? Two words: Warren Peace. Hello. But seriously, it’s a school full of kids with super powers. I want to be a super villain–er-hero. Why? Because Simon Snow and Baz Pitch are the most perfect two people in the whole world…? 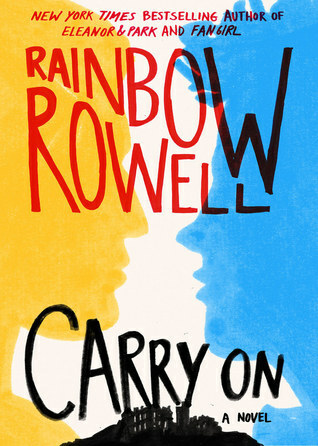 Seriously, I’m just so in love with Rainbow Rowell’s writing and the worlds that she create. I’d transplant myself into any of her novels. Why? Anyone that tells you they don’t love High School Musical is a liar and they can’t be trusted. Not to mention that being a Wildcat also means you automatically know complex dance sequences and musical numbers, and that dear reader, is the real American Dream. Why? 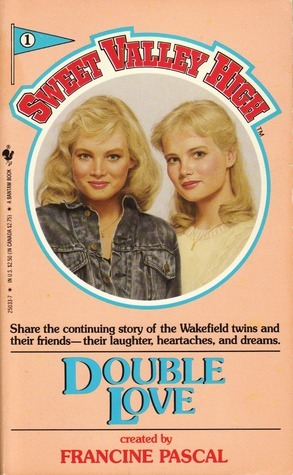 I read Sweet Valley High books religiously as a pre-teen and teenager, and I loved, loved, loved these characters. All I longed for was to go to a school like Sweet Valley High and have, what I now realize were unrealistic and crazy, adventures like Elizabeth and Jessica. Why? Saved By the Bell represented what I thought the high school experience should be and that I craved. It was a feel good show, mostly, and I loved the bond that Zack and the main characters had. Also, unlike Sweet Valley High and Boy Meets World, and a lot of the shows I was obsessed with in my youth, the main cast was actually diverse and Lisa and A.C. weren’t written as absurd, offensive stereotypes. I related to Lisa Turtle in a way that I couldn’t with most Black girl representation on TV at the time. Cosby was before my time, A Different World was too grown-up for me at the time (though I watched re-runs faithfully later in life), and Moesha and Sister, Sister, etc. didn’t come for a few years later. Why? Anyone who really knows me understands that my deepest desire is to develop or unlock an X-Men like mutation. I couldn’t even choose one I’d want most though because they’re all so amazing. I think I’d want Jean Gray’s powers, but I also don’t want to snap and kill literally everybody. Funny! I had no idea there were so many tv series with schools in them. 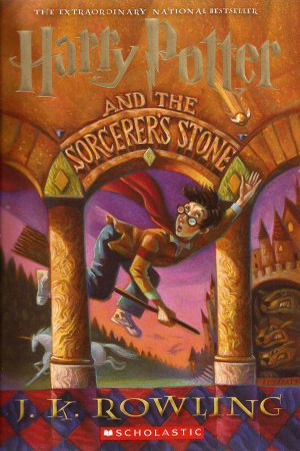 Here’s my Top Ten: Ten Books I’d Have Every Elementary Student Read*! LOVE this list!! I totally want to go to the college in Greek… especially if Cappie is there. Can we make that happen??? AND I’d definitely go to Bayside and Sweet Valley High. So much cheesy drama, it would be too fun. Also, I’m still waiting on my Hogwart’s letter 🙁 Great List!!! Ah I love Gossip Girl!